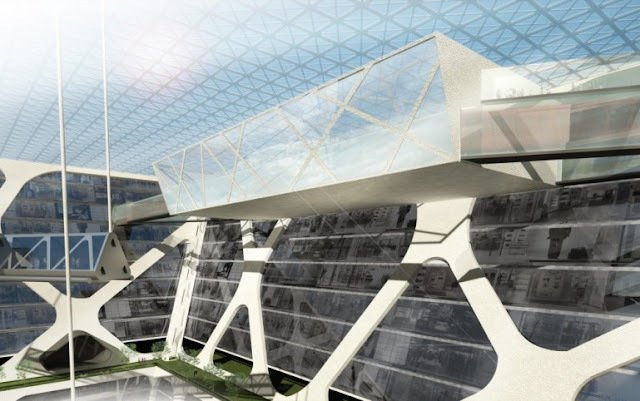 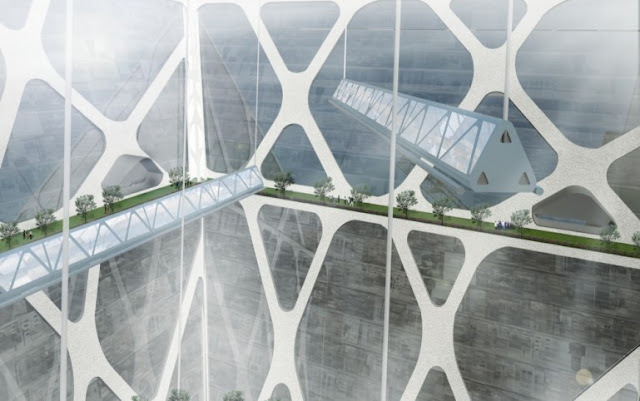 This ambitious "Earthscraper" concept from BNKR Aquitectura seeks to address several problems faced by Mexico City - a growing population, the lack of new plots for construction, the need to conserve historic buildings and height restrictions on new structures. "The historic center of Mexico City is in desperate need for a pragmatic make-over," says BNKR. 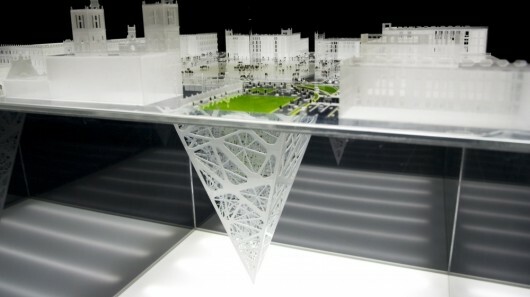 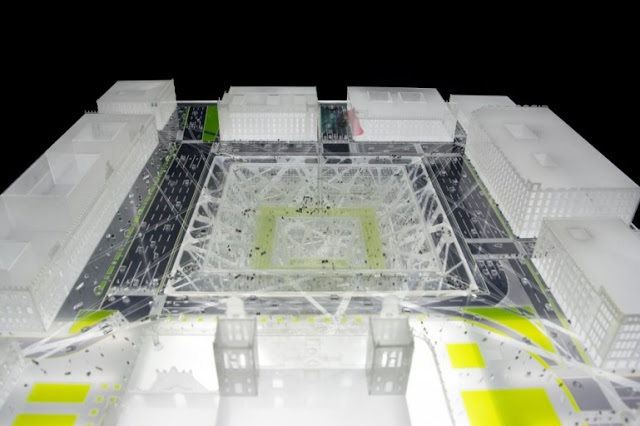 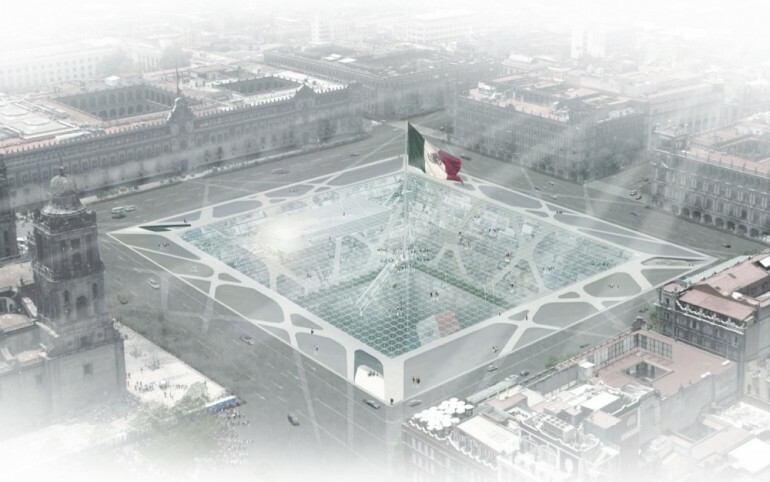 The solution - build an inverted pyramid underneath the main plaza at the heart of the city. 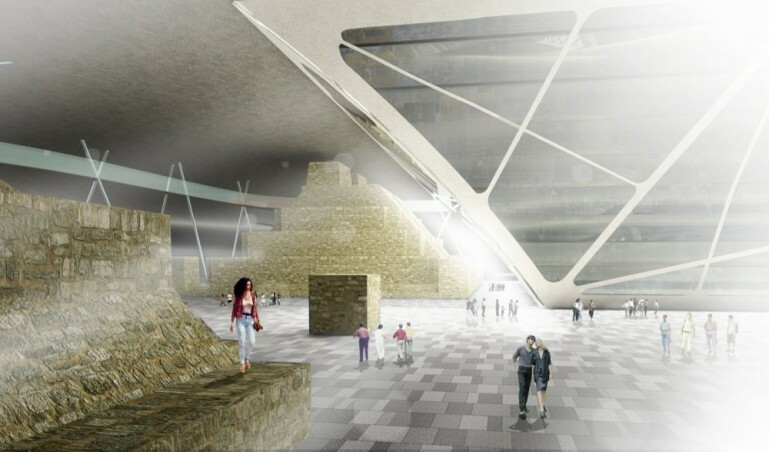 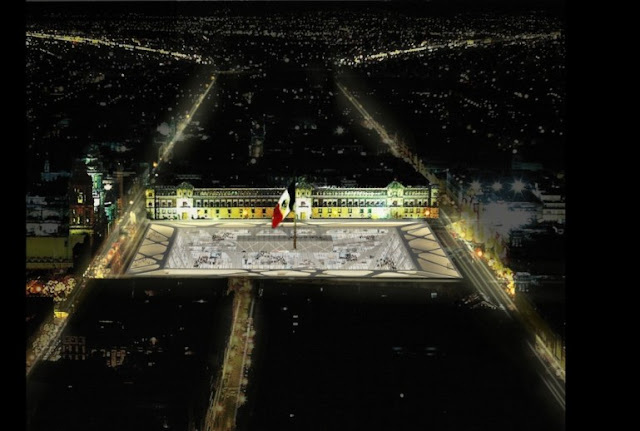 A kind of reversal of the historical Aztec pyramid, the Earthscraper would aim to preserve the visual aesthetic of the historic city square whilst also retaining the public space, commonly used year round for events such as concerts, political gatherings, open-air exhibitions and cultural celebrations. 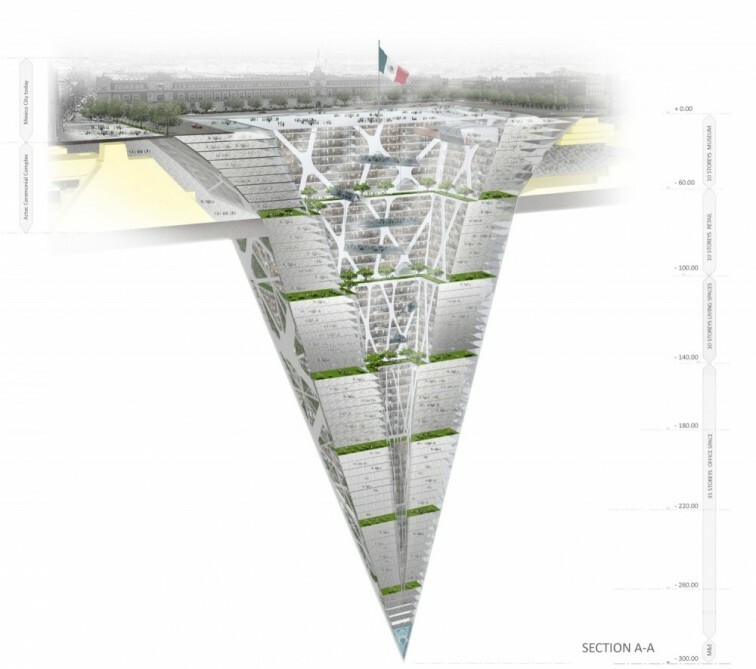 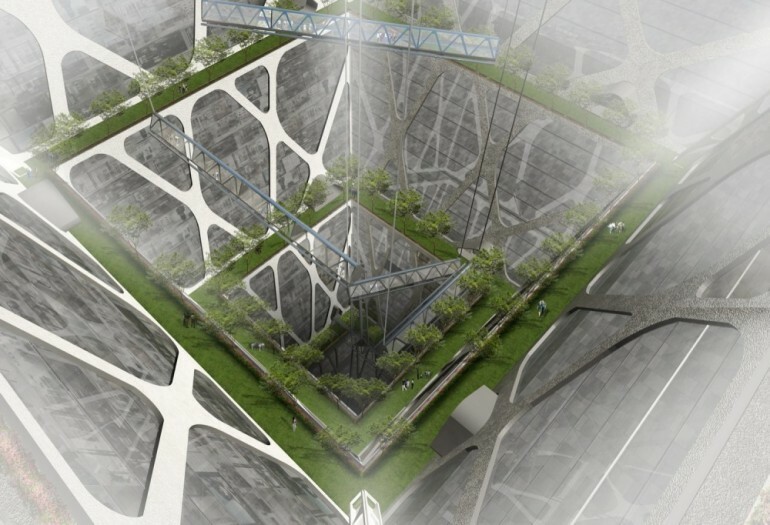 The 775,000 square meter design is capped with a glass "roof" and habitable spaces are positioned around the central void, allowing natural light to filter down to even the lowest of levels. The first ten stories would offer a tourist attraction, with all floors displaying Aztec and Mayan artifacts in a pre-Columbian museum. 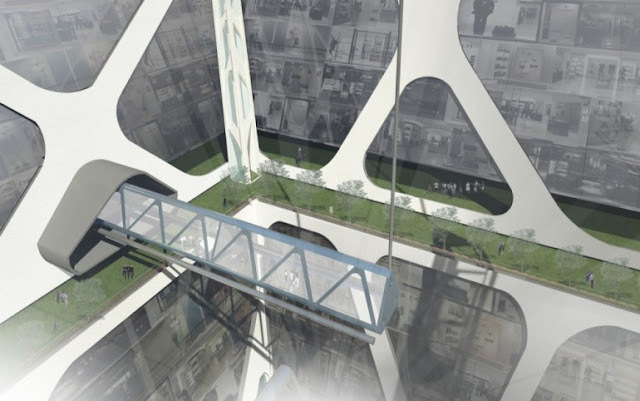 The design sees the next ten stories filled with retail shops and domestic housing, whilst the deepest levels offer 35 stories of office space. 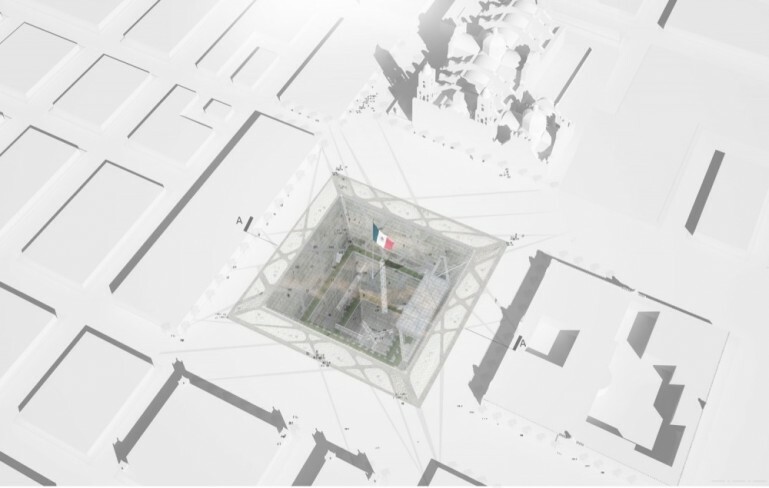 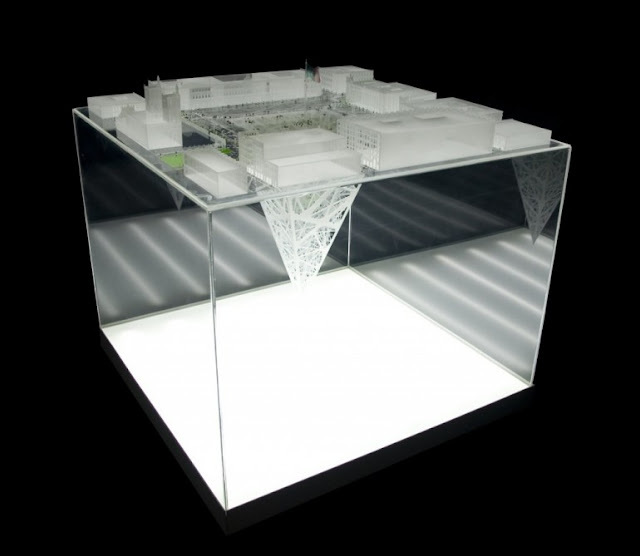 The concept is reminiscent of the famous glass pyramid featured at the center of Le Louvre Museum in Paris, but with mammoth proportions. "The Earthscraper is the skyscraper's antagonist in an historic urban landscape where the latter is condemned and the preservation of the built environment is the paramount ambition," says BNKR.